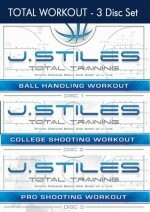 Drills on the Move: The speed dribble opens the “on the move” segment of Stiles’ program. 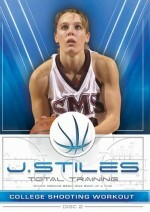 She shows how one, two, three and four dribbles can be maximized by pushing the ball out in front of you. 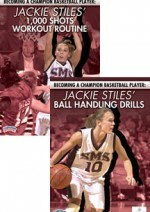 Jackie Stiles’ skill development was driven by her determination to devote time to handling the ball. She credits her ball handling ability to her success in the game.